The Photo sharing social media app Snapchat launched a new multi-player game platform,Snap Games in San Francisco.The games of this platform are managed by different gaming companies associated with the Snapchat including Game Closure,PikPok,Sray Fox,Zeptolab and Zynga. 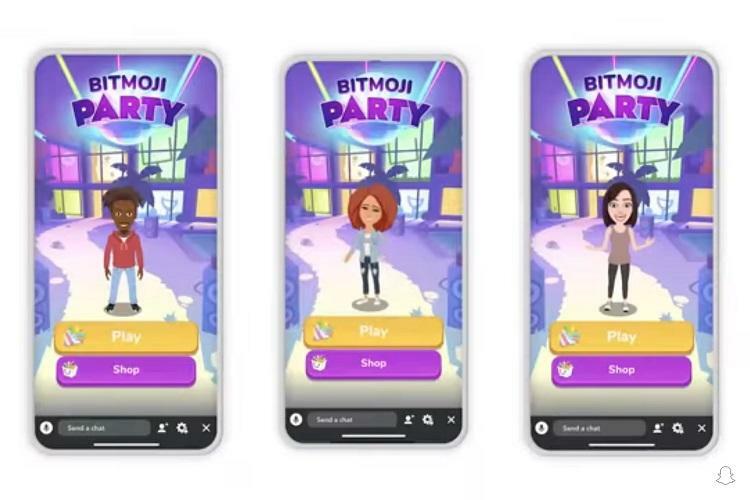 ● Bitmoji Party developed by Snap Inc. features four games within; Pool Party, Kick Off, Spin Session, and Zombie Escape. These are offered in 3D with your Bitmojis. ● Alphabear Hustle, a cooperative word game developed by Spry Fox. Its fast-paced and has some twists. You can join with your friends to spell words, collect cute bears, and even build your own personal bear village. Now the Snapchat users can directly access the snap Games and the in-game purchases and advertisements monetize the game developers.